﻿ Missing Link Trailer #1 (2019) Hugh Jackman, Zoe Saldana, Zach Galifianakis. Missing Link Trailer #1 (2019) Hugh Jackman, Zoe Saldana, Zach Galifianakis. 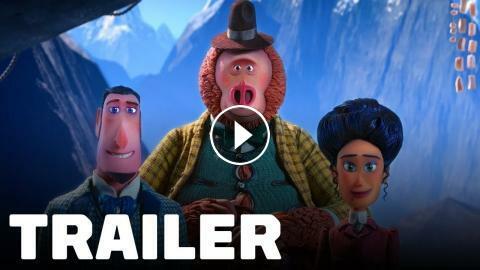 Get a look at Mr. Link, a lovable legend, in this trailer for the upcoming animated movie, featuring the voice talents of Hugh Jackman, Zoe Saldana, and Zach Galifianakis. We Hope Wolverine 3 is a Proper Send-Off For Hugh Jackman - Up At Noon Live! Who Should be the Face of X-Men After Hugh Jackman?